If you’ve read anything at all about eating healthy in the past year or so, chances are you’ve been advised to “eat clean” or “avoid all processed foods.” But how do we know if a food is “processed” or not, and are all processed foods really that terrible for our health? Since the term “processed foods” tends to conjure up images of Twinkies, Oreos and frozen TV dinners (which, of course, are not the most nutritious of foods), it’s easy to forget that products like canned vegetables and dairy products are also technically processed, yet have the ability to provide our bodies with a long list of beneficial nutrients. Below is a list of four “processed” foods that offer plenty of health and nutritional benefits. 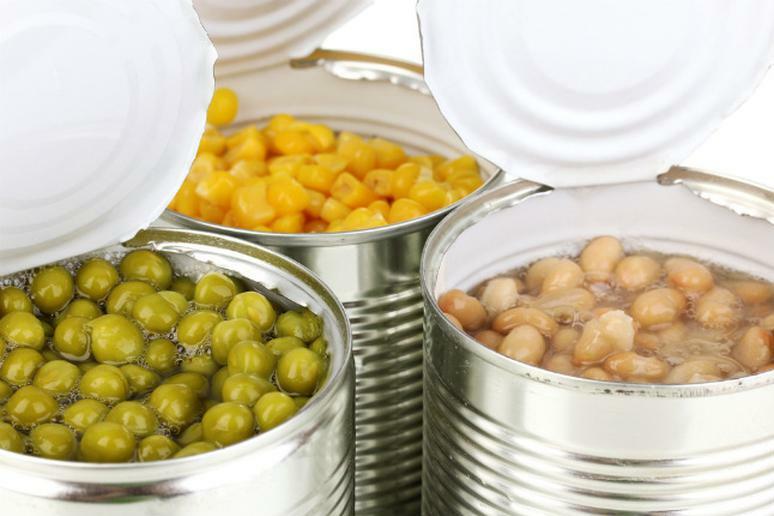 Canned foods are considered processed because the method is a means of food preservation that ultimately seals the product in an airtight container. The canning process often exposes fruits and vegetables to high heat, which can cause some nutrient loss, depending on the food. However, especially if fresh fruits and vegetables are unavailable, canned whole food products are still generally considered a healthy way to conveniently include a variety of vitamins and nutrients in your diet. To maximize health benefits, avoid canned items with excessive sodium contents, added sweeteners like high-fructose corn syrup, and look for cans whose lables tout a "BPA-free" stamp. Since cheese is derived from milk, technically it is a “processed” food. Cheese contains important nutrients like calcium, which keeps our bones and teeth strong, and protein, which is the macronutrient that most effectively prolongs our feelings of fullness and satiation. Of course, some cheese products are more highly processed than others, so when shopping for cheese it’s best to read the ingredient labels and opt for versions that are all-natural and contain little to no artificial ingredients or preservatives. Milk has many different varieties, but the most commonly consumed variety comes from cows. While cow’s milk might be considered an unprocessed product initially, most commercial forms are first pasteurized (in order to kill bacteria) and homogenized (to prevent the separation of a cream layer) before they hit store shelves. Both of these methods can be considered forms of “processing,” yet cow’s milk still offers plenty of valuable nutrients like calcium, vitamin B-12 and protein. In addition to dairy-based milk, products like almond, coconut, rice and soy milk are available and nutritious even though they are derived from whole foods and therefore also technically "processed." Because they are often preserved through freezing immediately after being harvested, some frozen whole foods may actually retain more of their vitamins and nutrients as opposed to being packaged and purchased fresh. Studies have shown that local, in-season frozen fruits and vegetables may offer more nutritional benefits than fresh foods that have been imported and are out of season.